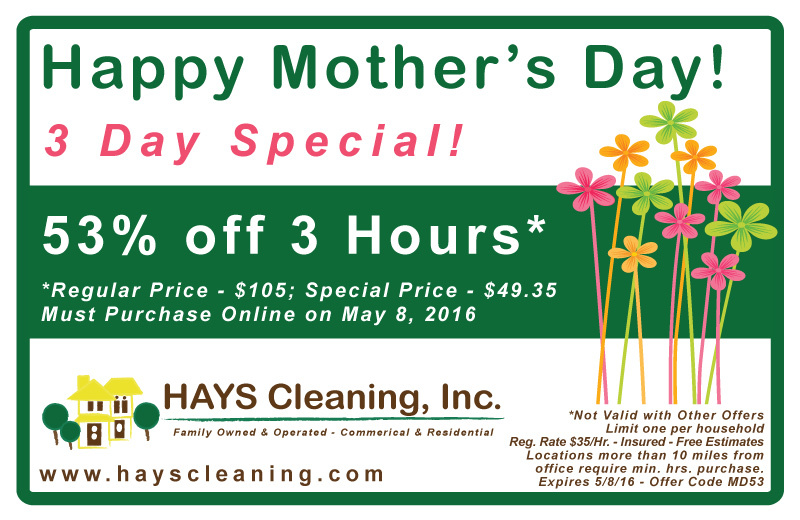 Call 708-598-3819 or email mary@hayscleaning.com to schedule appointment. Regular hourly rate is $35 per man-hour. Hours purchased must be used at one service call at a single location. Not valid with other offers or on services previously provided. Coupon must be used by 12/31/2017. Locations more than 10 miles from office require minimum hours purchase. 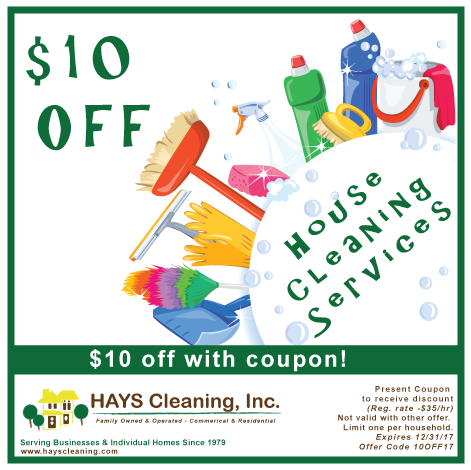 Must present coupon to redeem offer. 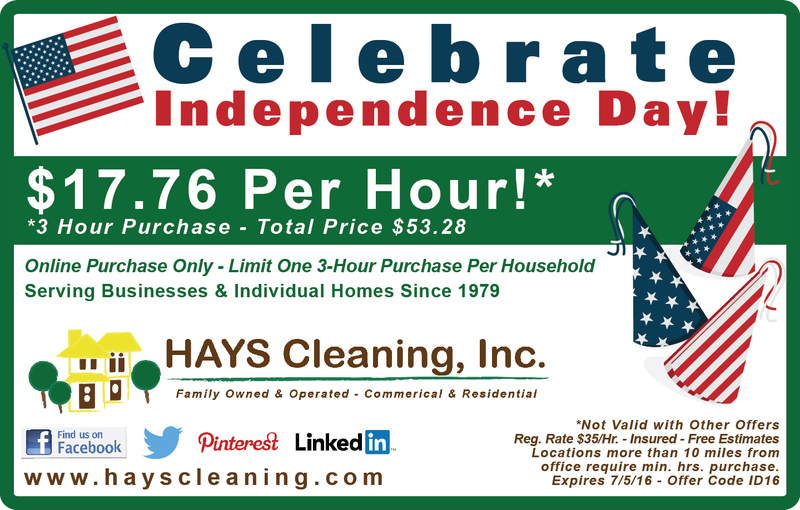 HAYS Cleaning celebrates Independence Day by giving our customers three hours of service at $17.76 per hour! Must pre-pay for services prior to scheduling appointment. Coupon must be purchased online 7/6/2016. Cleaning must be used by 11/30/2016. Cleaning may be purchased for yourself or as a gift. . Coupon must be purchased 5/8/2016. Cleanings must be used by 11/30/2016. 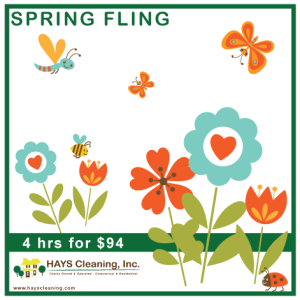 Cleanings may be purchased for yourself or as a gift. .
Buy Three 3-hour cleanings for $315, get one 3-hour cleaning FREE! Buy Three 5-hour cleanings for $525.00, get on 5-hour cleaning FREE! Hours purchased must be used at 4 separate service calls at a single location. Coupon must be purchased 5/31/2016. Purchase 4 hours of housecleaning for only $94! You must purchase online to get this terrific price; limit one per household. 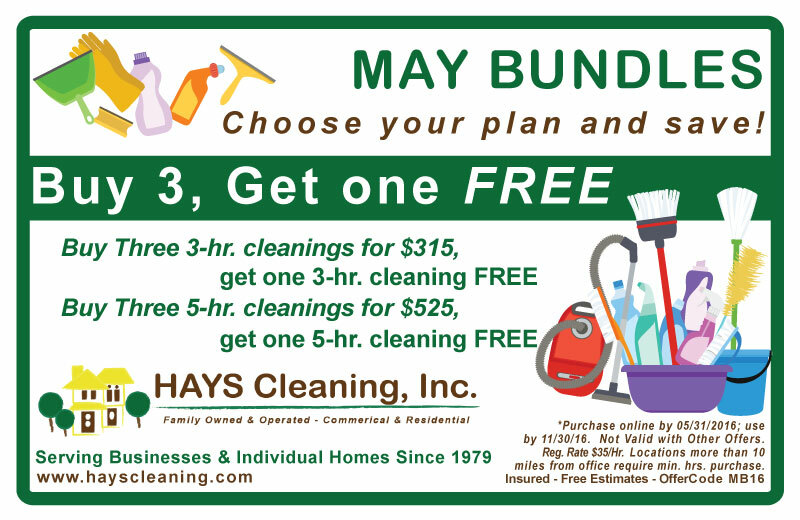 Click the “Buy Now” button to make your purchase and then contact our office to schedule your appointment by emailing mary@hayscleaning.com or calling 708-598-3819. 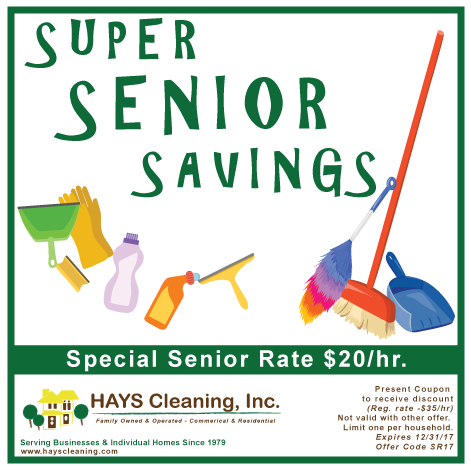 Call 708-598-3819 or email mary@hayscleaning.com to schedule appointment.Must pre-pay for services prior to scheduling appointment. Hours purchased must be used at one single service call. Coupon must be purchased 4/30/2016. Call 708-598-3819 or Email today! Leave us a testimonial or review. Free House Cleaning for Heroes!